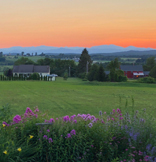 Ray Ault has been a Vermont licensed Real Estate Broker since 1973. Ray Ault conducted the Site Selection Study for the Diamond Run Mall in Rutland. One creative transaction involved the assemblage of 3 properties for a McDonald's Restaurant. Ault Commercial Realty, Inc., has experience marketing contaminated sites. · Lease of many office, retail and industrial spaces in Rutland, Windsor and Chittenden Counties. Ray is past President of the Vermont Association of Realtors, and served 6 years on the National Association of Realtors Board of Directors. He served 4 years on NAR's Legal Action Committee, which reviews all court cases nationwide beyond the trial court level that impact real estate. He chaired NAR's committee on State & Municipal Taxation and Spending. He is past president of the statewide Commercial Investment Board of Realtors and is a member of New England Business Brokers Association. He is a certified Mediator for the resolution of real estate disputes. Ray is past president of the Rutland Region Chamber of Commerce, and recently served 12 years on the Real Estate Development Committee of REDC (Rutland Economic Development Corp.), Rutland County's premier NGO focused on job creation. He has also chaired the Rutland Regional Planning Commission. He served for 20 years as Town and School District Moderator for the Town of Proctor.